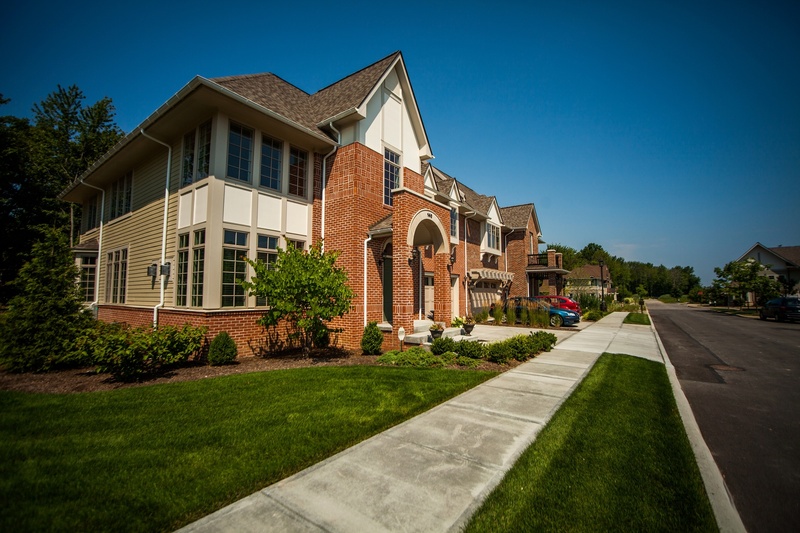 The grass on your Northeast Ohio multifamily property is a tremendous asset, from an aesthetic and environmental standpoint. Your grass provides a lush, green appearance and serves as a canvas for landscape beds and other design elements. Not to mention, it reduces erosion, absorbs water, cleans the air and even neutralizes pollutants. You want to be renovating spots of grass, not replacing the entire lawn. That’s why annual grass seeding is a critical aspect of fall landscape maintenance. The warm days and cool nights fall brings in Northeast Ohio make this a prime season for seeding your multifamily property. Coming out of August’s hot, dry days, fall offers ample rainfall for feeding thirsty new seed, so individual owners will not have to water their lawns themselves. At Schill, we believe less is more: If we can count on Mother Nature to help grass seed get a solid start, everyone wins. On that note, don’t wait too long to plant grass. Once leaves fall and gather on your grounds, they can choke out new seed (sun, air and water will have a tough time reaching seed) and cause it to rot. All grass seed is not created equal. 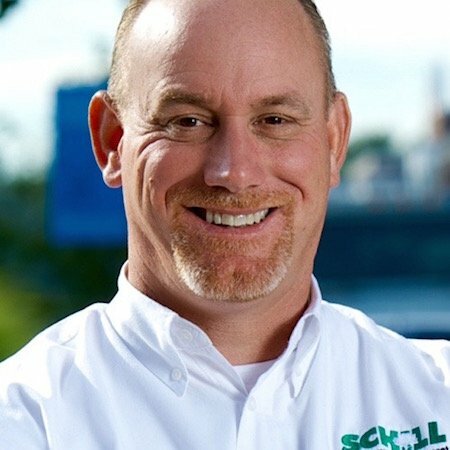 An experienced commercial landscape maintenance firm like Schill can help you choose the right type of grass seed for your property. There are mixes for spaces that receive lots of sun, or are mostly shady, and there is a full range of grass types, including the most common in Northeast Ohio: tall fescues, Kentucky blue grass. Selecting the right seed for your outdoor space is critical to the success of your healthy lawn. Turf characteristics — texture, color, vigor and growth habits — vary by type. 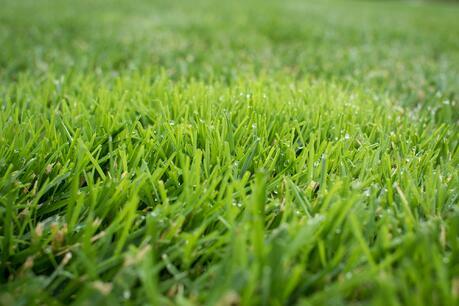 And how fast grass grows is a key consideration when you think about how much mowing the lawn will require. Multifamily properties have high-traffic areas that often require reseeding in fall to maintain the lawn’s health and appearance. Healthy grass means less work for residents who live there. When new grass seed is planted, it’s important to avoid compaction on that space (no stepping on the new seed! ), and to ensure that enough moisture reaches the new seed so it can germinate and grow. New seed should be covered with straw or other moisture control products, which simply keep soil from drying prematurely (a cause of seed damage). Irrigation systems should be checked and properly adjusted to accommodate the new seed; too much water is just as bad as not enough! Overwatering can trigger disease and fungal development that causes seed to rot. Proper applications of fertilizer and lime based on your soil type and conditions will give seed a strong start and ensure healthy growth before the winter sets in. Aerating in the fall encourages root establishment before winter, giving the grass a head start on building strength before dormancy and winter stress. Then, come spring, the lawn will have plenty of “breathing room” to accommodate new growth. We keep a close eye on newly seeded grass and monitor its growth. After seeding your Northeast Ohio property, you can expect some additional steps to ensure success: spot seeding, the addition (or removal) of moisture control products, irrigation adjustments and fertilizer. 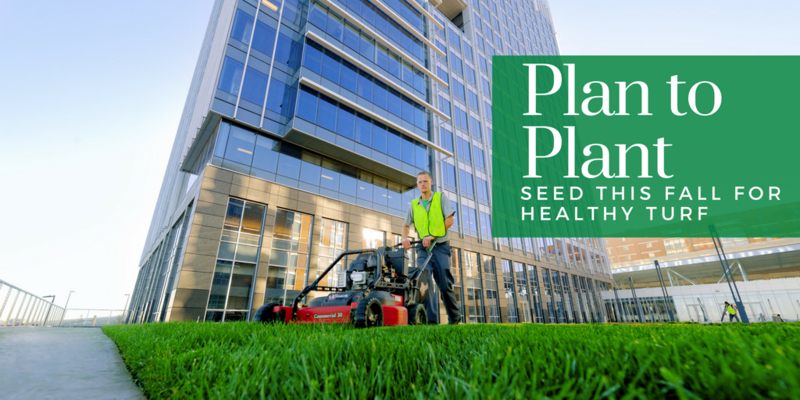 Now is the time to consider planting new grass seed, and Schill’s professionals can assess your Northeast Ohio multifamily property, identify turf trouble spots and execute a turfgrass rejuvenation plan with ongoing maintenance to protect this important asset. Let’s talk more. Call us any time at (440) 327-3030, or fill out our simple contact form and we’ll get in touch with you.